WASHINGTON—Noting that the vulnerable organ is exposed practically all the time, a report released Monday confirmed that it’s a miracle nothing has punctured your eye yet. 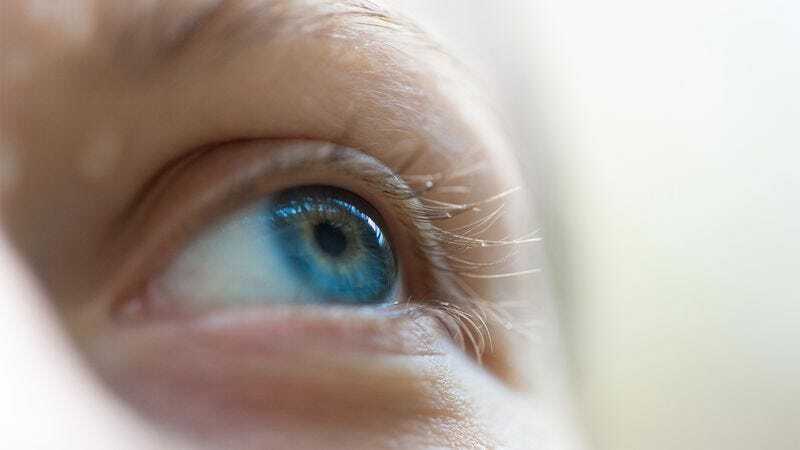 According to researchers, it is astonishing that your eyeball has not been ruptured in the decades comprising your life so far, given that a tiny stray projectile or slender pointed object such as a tree branch would be more than sufficient to do so. The report also found that it is particularly remarkable that your eye has not been pierced clean through in light of the fact you have not one but two eyeballs, both equally susceptible to a sudden, terrifying perforation that would instantly release the ocular fluids inside. Experts concluded, however, that there remains ample time for a passing car to run over a pebble at high speed and launch it directly into your face, blinding you permanently before you can blink.